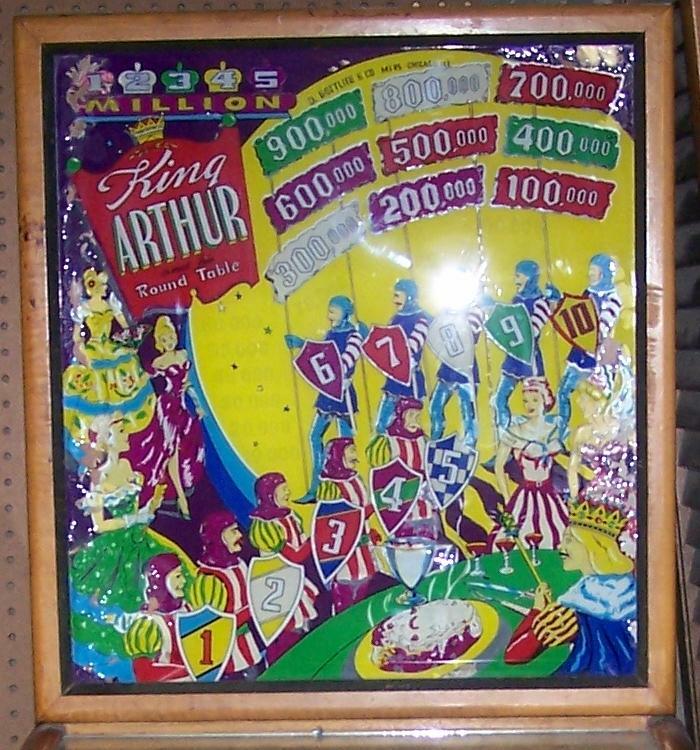 Description: King Arthur and his Round Table, 10/49, 1220 produced, two kickout holes, two reverse flippers. 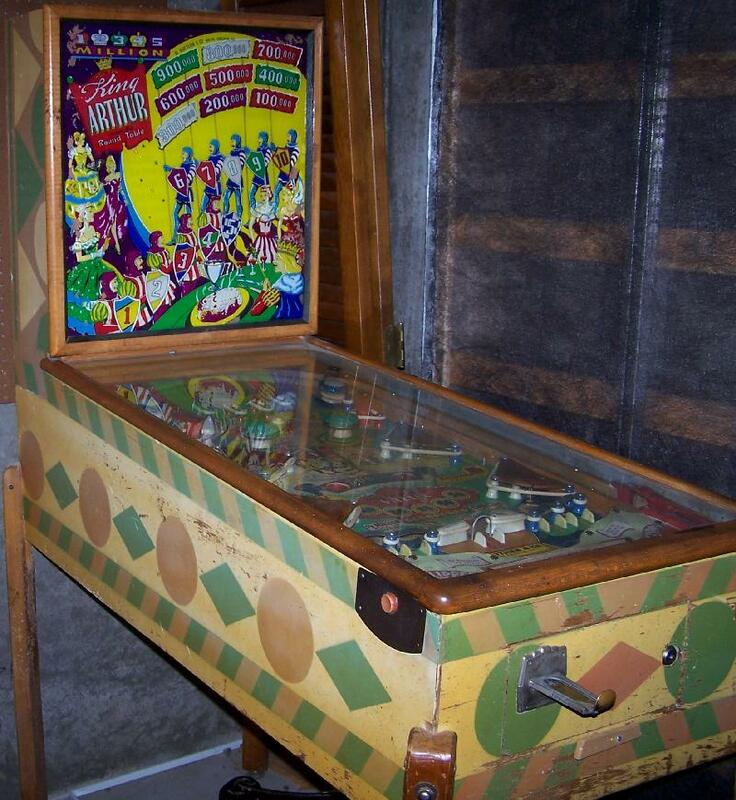 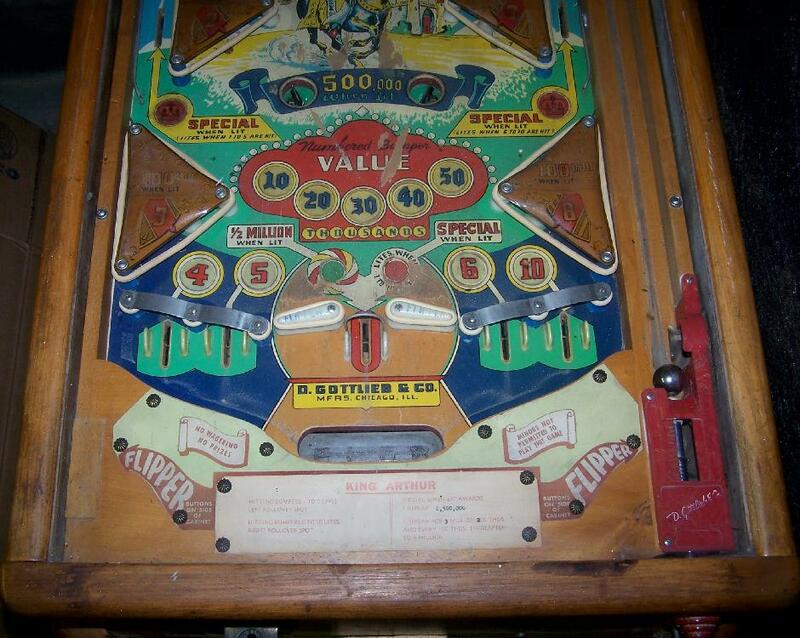 Roy Parker playfield and backglass woodrail pinball artwork. 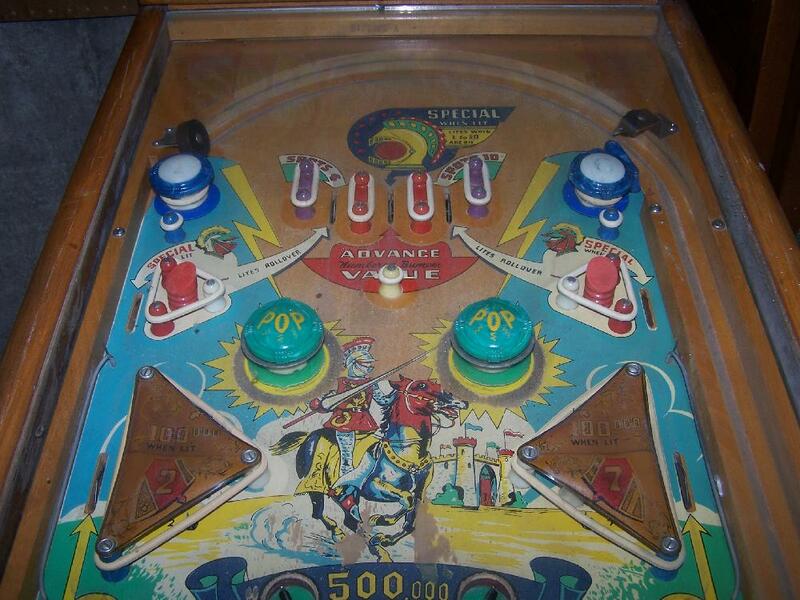 Please contact me at cfh@provide.net if you have this game for sale.